Halloween is coming! It is one of my favorite times of year, and I look forward to seeing all of the incredible costumes. I also have really loved making DIY costumes for kids (and adults) through the years. I don’t make costumes because I feel like I should, I make them because I really enjoy it! Buying the perfect fabric, dreaming up the design, and then sitting and sewing while the costume comes to life makes me super happy, and I love how much my kids enjoy being part of the process as well. Over the years I have made literally hundreds of Halloween costumes, both for my own children and as custom orders when I operated a custom sewing shop. I have pulled a bunch of examples here today to give you some Handmade Halloween Costume inspiration! This is one of my all-time favorites. 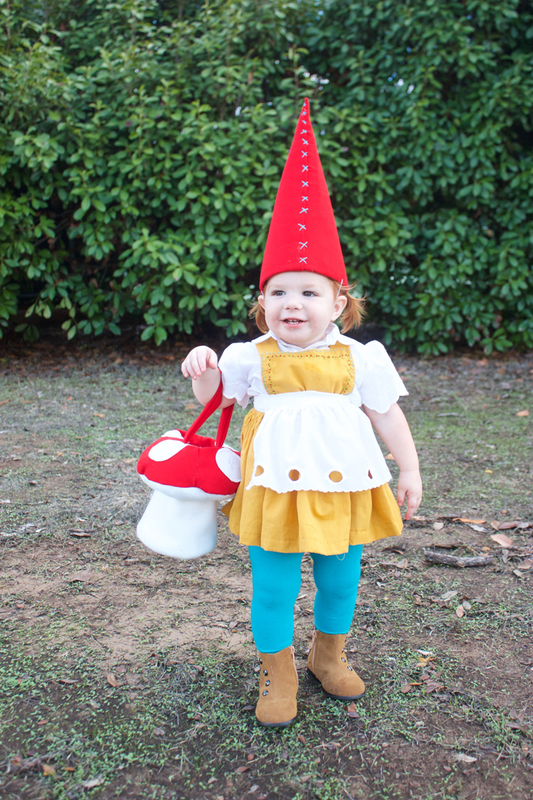 My daughter was the perfect age, and her little red hair and round cheeks just added to the joy of her gnome look. I shared a full DIY tutorial of this costume here in this post. 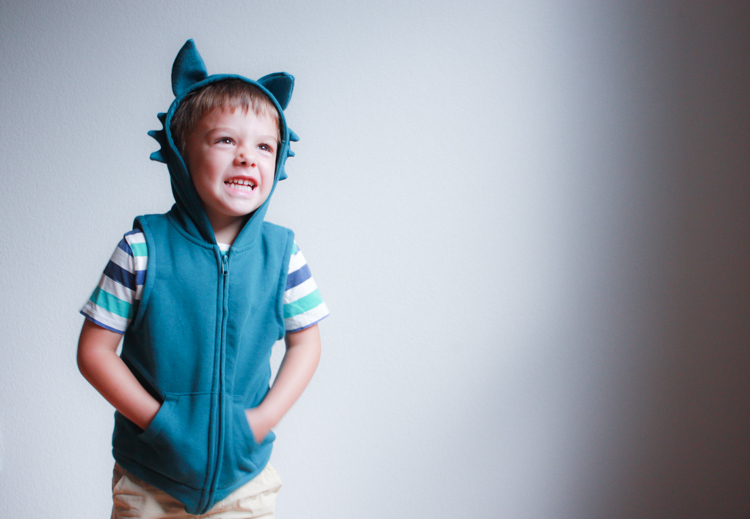 For a more simple, wearable costume, these animal hoodies are made using a store-bought sweatshirt as the base. In this post I shared details for making a wolf, tiger, and bunny, but the possibilities are really endless! 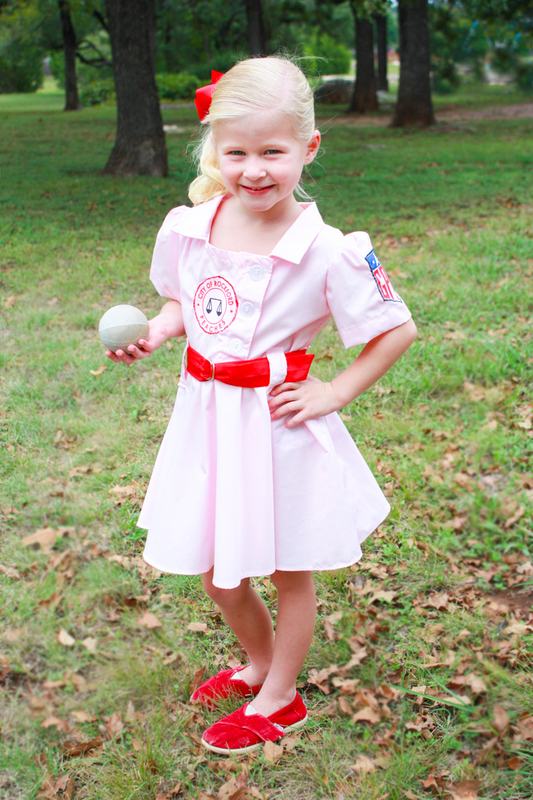 My very first Rockford Peach Costume went online when Pinterest was barely emerging, and became an instant favorite. I probably made 50 of these dresses over 2-3 years, and finally decided to create a PDF pattern so that people could make their own! The pattern and instructions are still available right here! Are your kids as Star Wars obsessed as mine are? 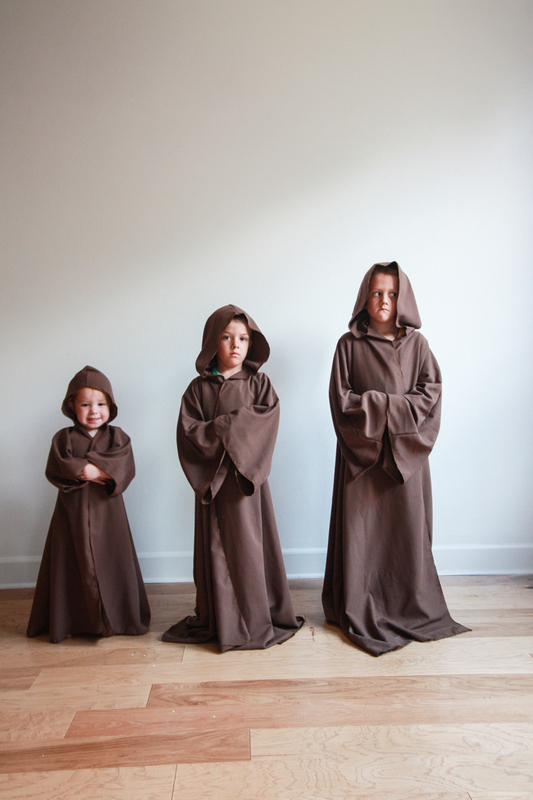 I made these super easy Jedi Robes a few years ago and they are STILL in regular rotation around our house. The instructions are detailed and make the process approachable for any level. For a few years, I had a customer in Georgia who always ordered the most fun costumes for her daughter. 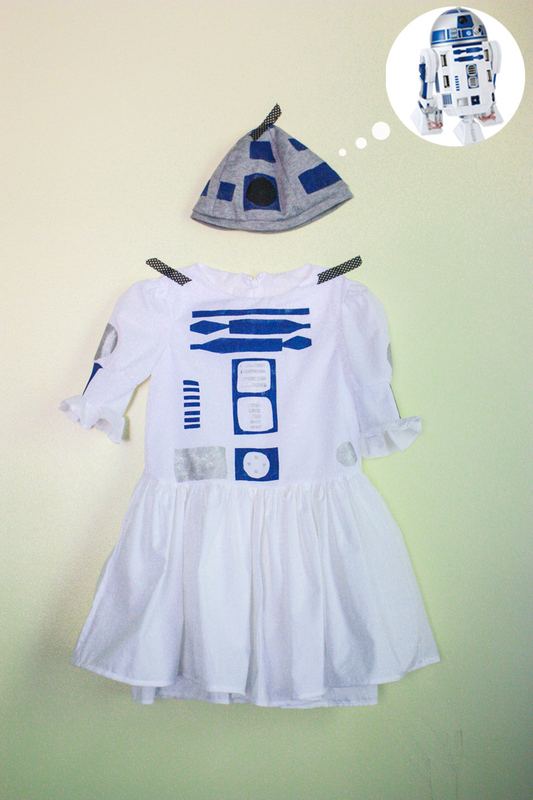 This girl-version of an R2-D2 costume was super fun to make. Again, I didn’t share a full DIY, but talked through my process in the original post. Some of my favorite costumes are the most classic. 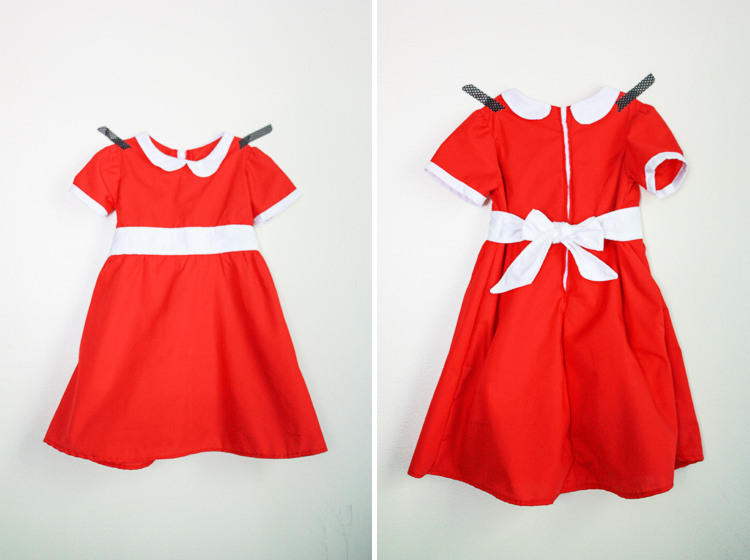 Little Orphan Annie’s little red dress is iconic and so simple to make. I used a basic bodice block and dress pattern for the dress, then added the white collar and trim. So sweet. I made this darling dress as a custom order for a photographer. The details were all hand-sewn, and I adore it. With The Greatest Showman being such a great, big, shiny movie, this would be perfect for a little tightrope walker! I didn’t share a DIY, but seeing Baby Plum in the photos is pretty sweet. Who doesn’t love Max and Ruby? This was such a fun costume idea, and I loved creating something that felt like the kid walked straight out of the cartoon. 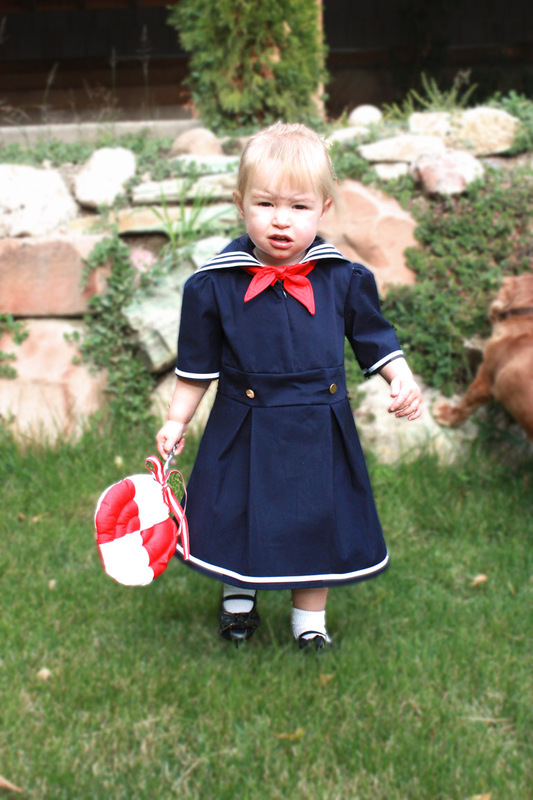 This Shirley Temple Sailor Costume is another of those iconic classics. I made it for my friend’s daughter, complete with a stuffed lollipop to carry around. The details on this one are really cute, so you should hop over to the original post to check it out! 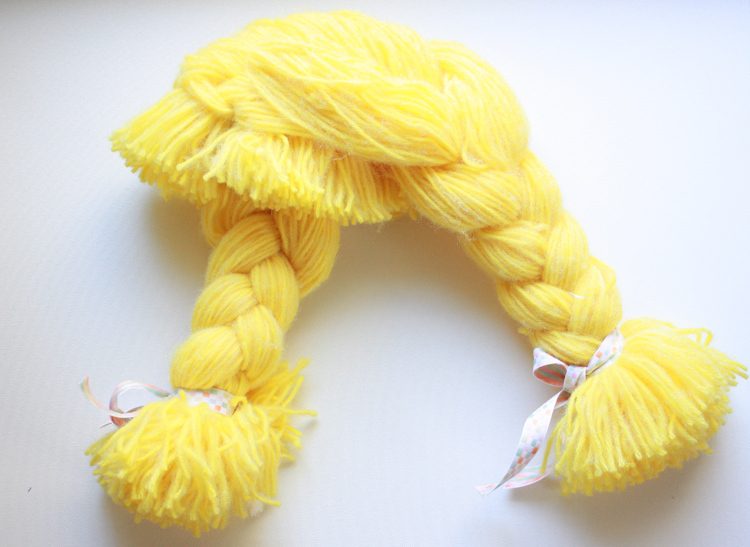 I also talk through which pattern I hacked and how I created the look. I so wish I had a photo of this costume ON the recipient. It was hilarious to make and even more great when the little 6-year-0ld boy put it on. All he wanted to be for Halloween was a snail! I share how I made it here. More than a full costume, this Cabbage Patch Doll Wig was an accessory to dress up any doll-style costume. It was really fun and easy to make, and I talk about how I did it in this original post. 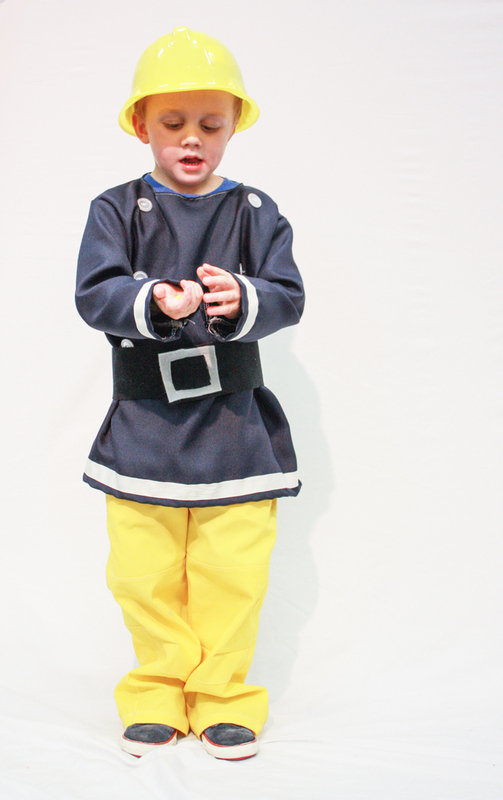 Have your little boys gone through a Fireman Sam phase? Mine both did and it was my favorite! I loved creating this little Fireman Sam, with his baby brother Dalmatian. 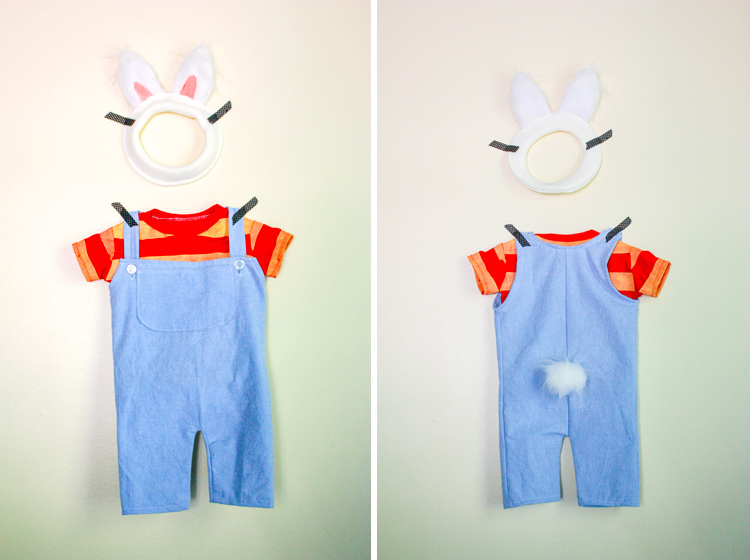 This post has a DIY for the costume! 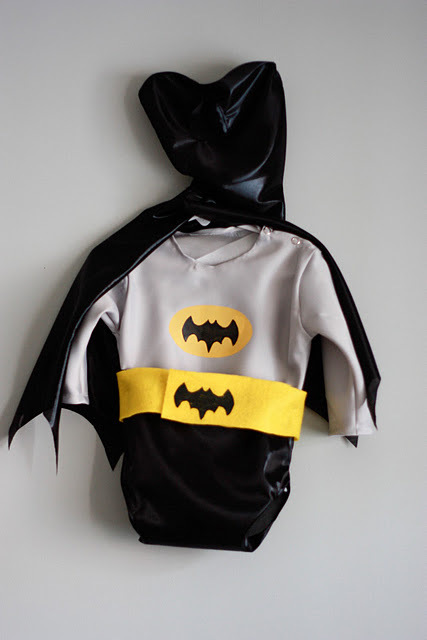 How darling is this tiny batman onesie costume? I don’t remember the age of the kiddo it was going to. Maybe about 6 months old, so the onesie was perfect. 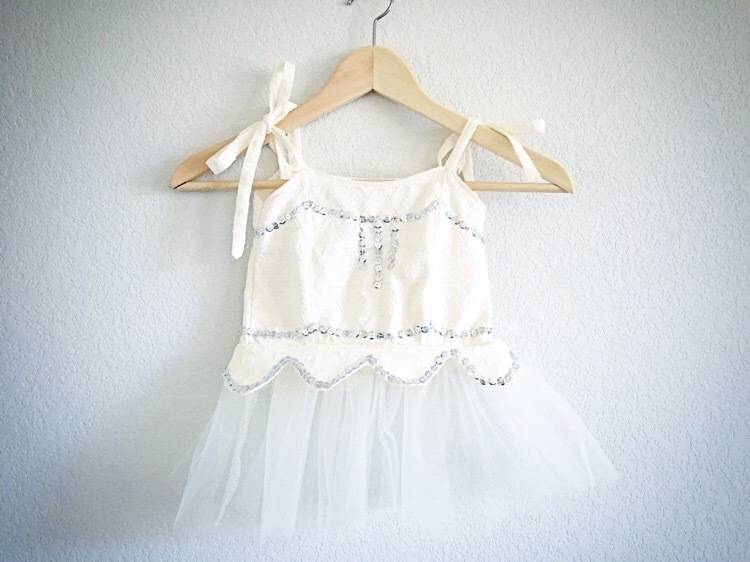 It makes me want to find a baby boy to sew for this year! This final costume was part of our family Wizard of Oz costume theme a couple years ago. IT WAS SO PERFECT! I made the whole outfit and it came together exactly as I imagined. 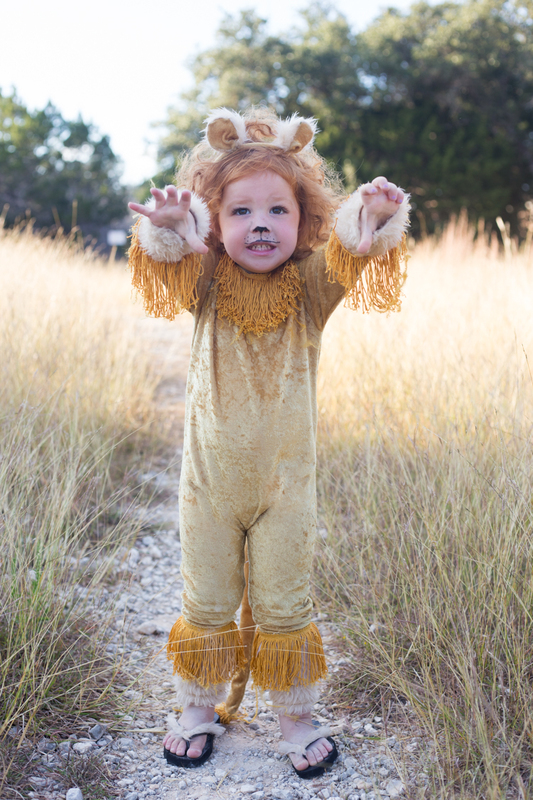 Also, I’m obsessed with this little lion. 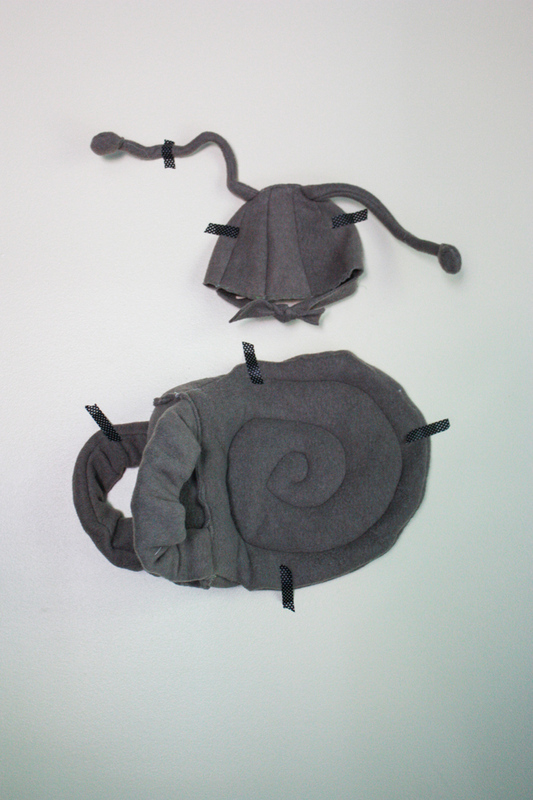 I hope looking over the gallery of some of the different DIY Halloween Costumes for Kids that I have made through the years gives you a good idea of things you could make yourself, too! In addition to all of the handmade costumes, we have also had years when the costumes have all come from Costco, and the kids didn’t feel bad one bit! This year, I am still on the fence about whether I will be sewing up a storm or letting the kids choose something simple from the now-bursting-at-the-seams costume box. Either way, I look forward to an exciting Halloween.